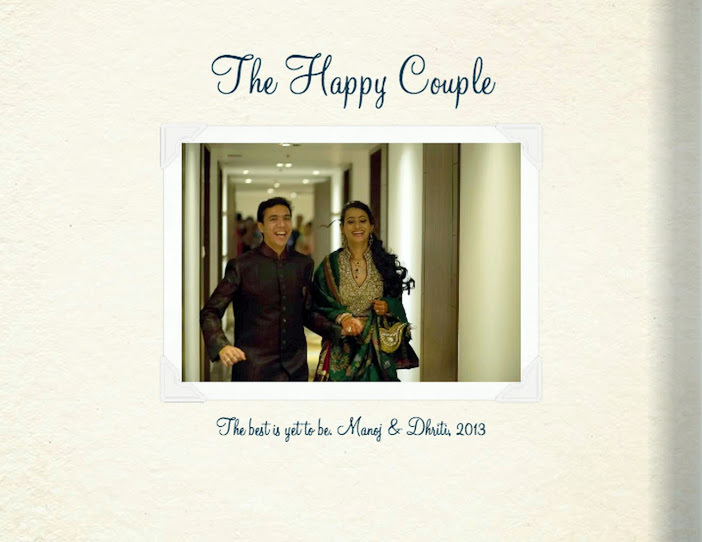 Today's post is one of the longest wedding story posts, and it comes from a very dear friend of mine..Jaya. Jaya is married to my husband'd best friend, and in no time she turned out to be my best buddy too. I had the privilege to attend their wedding. And what a wedding it was. Almost like a fairytale. I had been coaxing Jaya to pen down her story, and today I am sharing it with you. Thanks so much Jaya. You guys make a lovely couple and God bless you always. We had a couple of events in Baroda and then a series of events in Lonavla. This is the first ritual in any Sindhi wedding and is similar to Gaud-dhana that Gujarati’s have or Roka that Panjabi’s have. It is an agreement between both the families to conduct the marriage. 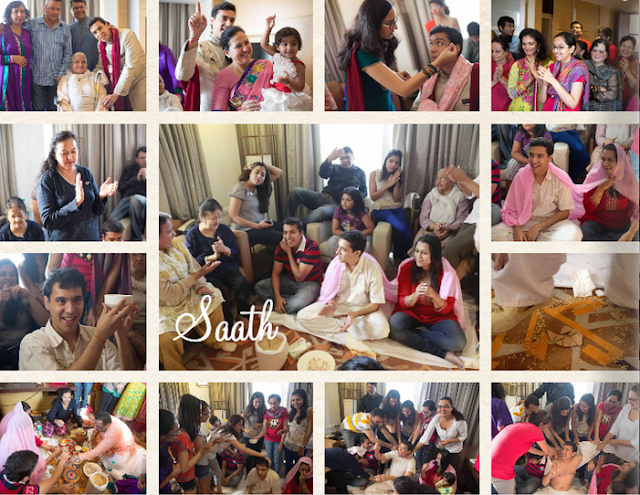 Both the families pray together to the Kuldevta Jhulelal to bless the couple with a blissful marital life. The bride’s and the groom’s family presents nicely decorated tokras (hampers) of goodies to each other. Primarily, the bride’s family need to give five coconuts and misri (crystallized sugar) wrapped in a new towel/cloth. Depending on the preferences additional goodies could be dry fruits, chocolates, gheni’s (gold coins) etc. A great deal of thought and effort is put into making these beautifully decorated gifts, in fact plenty of families these days prefer to have a specialist manage this for them. After the Kachimisri in January, we spent almost an year planning for our wedding in December. The planning part of the year was also the best part of our wedding ;) We used to spend hours coordinating with photographers, decorators, event planners during this entire year. We were all set to begin the celebration. Nervousness and excitement were at the peak. We started the celebration with the Anandpur darbar satsang which is the guru that my grand parents had been following since a very long time. 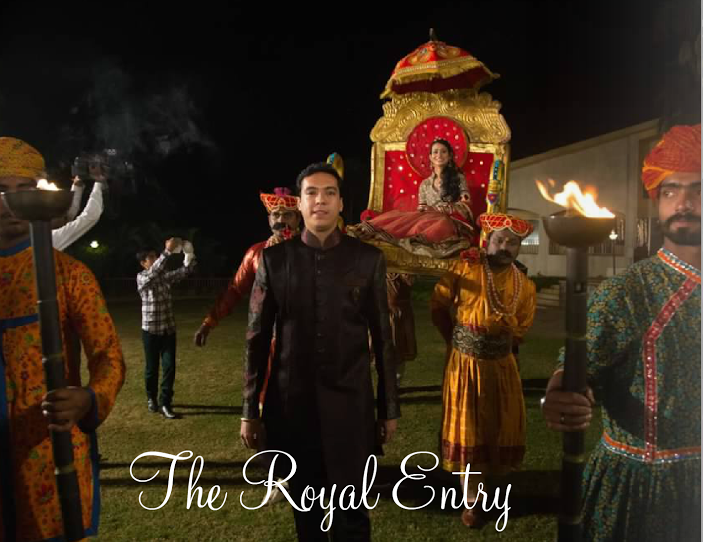 Sindhi weddings are generally a large-scale, razzle-dazzle affair with lots of good food, the best of designer labels, diamonds and lots of dance. 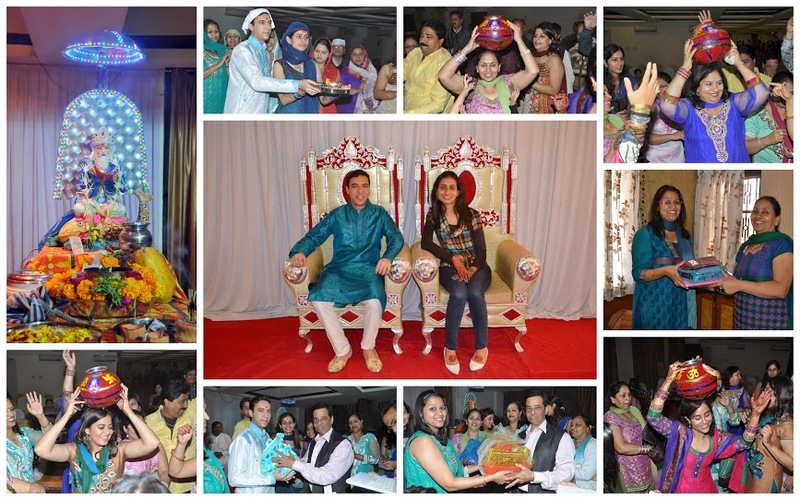 There was Satsang (bhajan), prasad, dinner and dance during this event which was held in darbar itself. This was for getting blessings from the Anandpurdarbar’s guru. Akhand path means continuous recitation without a break of the holy scripture “Guru Granth sahib” from beginning to end, (all 1430 pages,) lasting about 48 hours by a team of pathees (readers). This ritual is considered a very holy practice and is said to bring peace and happiness to the participants and the listeners of the recitation. At its completion, there is a ceremony called Bhog. Bhog in sanskrit means to conclude. It is accompanied with bhajans/ (laadas as we call it in sindhi) and dance to celebrate the completion of the recitation of the “Guru granth sahib” and also to shower blessings on the family. As a part of the traditional dance during bhog, we keep matki (an earthen pot) on the heads’ of every family member starting with Bride’s Mom and Dad and make them dance. The sindhi laada that plays during this dance form is (Hindi translation - rakhke matki sir pe, dulhan ki mummy nachegi… Rakh k matki sir pe, dulhan k papa nachenge ….) To give the best analogy, this is very similar to the song “BaariBarsi” from the movie Band BaajaBaraat where every family member is introduced and made fun of by the lyrics in the song. 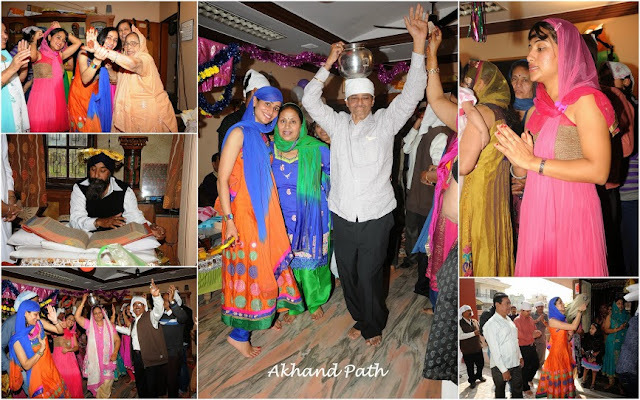 Akhand Path is a tradition followed by sikhs but staying amidst so many diverse religions we have adapted to rituals from different religions. In my family, this is one of the most important events of our weddings. 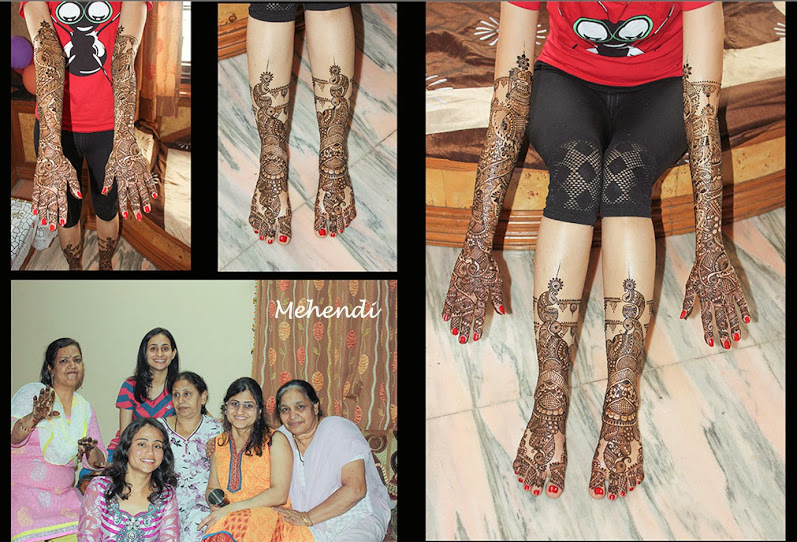 Mehendi and Sangeet (Dec 25 - 2013) We had mehendi ceremony for the groom’s side of family on this day. I wanted to have sangeet in my wedding as I was inspired by all my gujju friends. To me, it’s a gujju tradition. 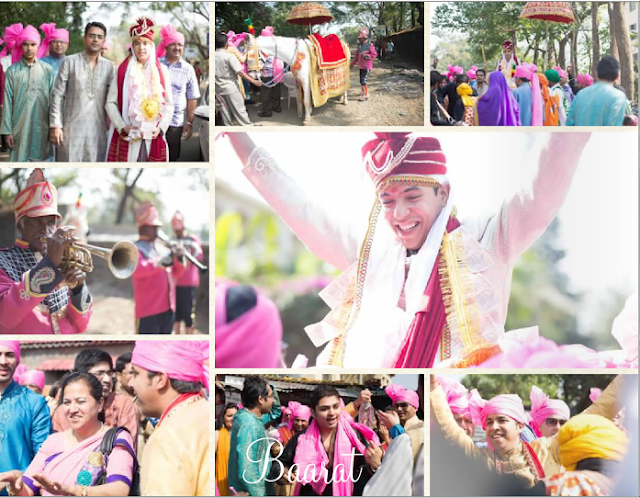 Sangeet ceremony as the name suggests is all about dance and music! 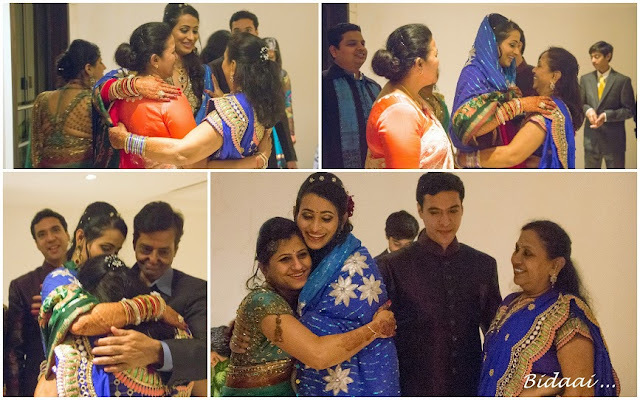 Sangeet is not a Sindhi tradition. 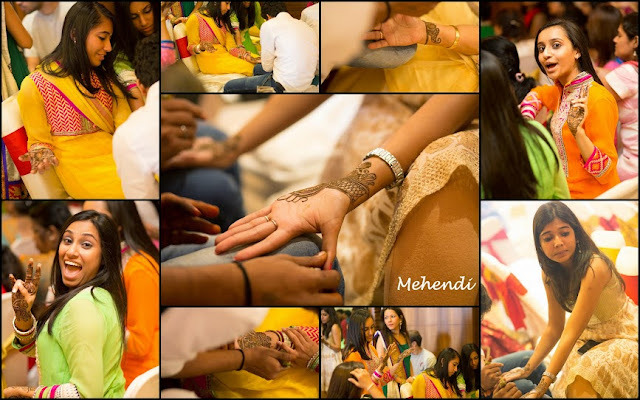 Traditionally, Sindhis used to have Ladies Laadas (i.e Ladies sangeet) which is exclusively for women wherein all of them sing folk songs dedicated to the bride. It is accompanied by Dholak and spoon, for the tune and beat. 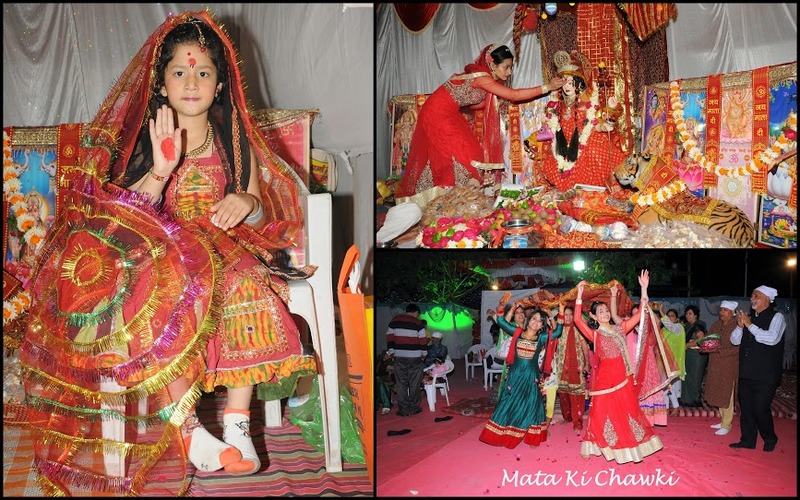 After this, all the girls perform dance on different songs.Amidst the celebration, women crack jokes, tease the bride, merrily reminisce their youthful days and bless the girl for a prosperous married life. The environment quite often becomes emotional as the bride and her mother experience the pangs of separation from each other. After all the dance and singing is done, its time for refreshment. It mainly contains a variety of snacks and sweet dishes. Women enjoy themselves to the fullest, making the environment light. 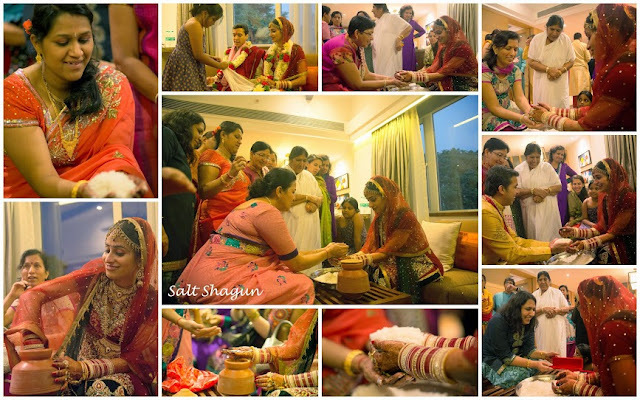 But with changing times, it has now become Sangeet where men and women both participate. 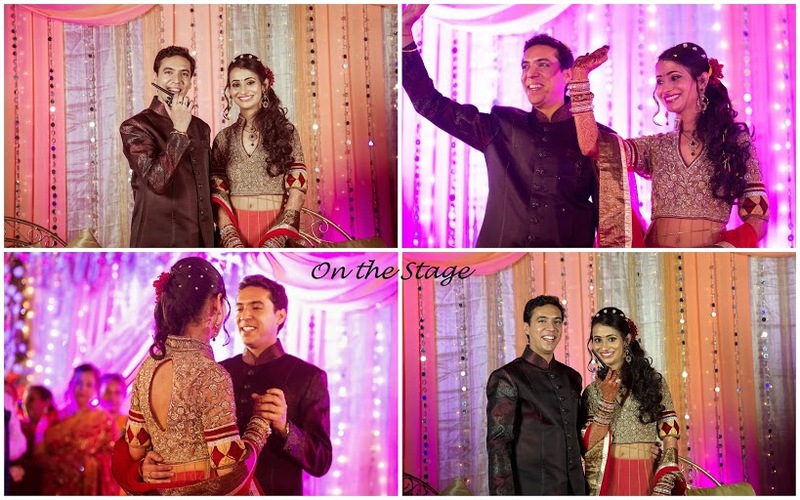 Today this ceremony is all about dance performances from the bride and groom’s side of family. 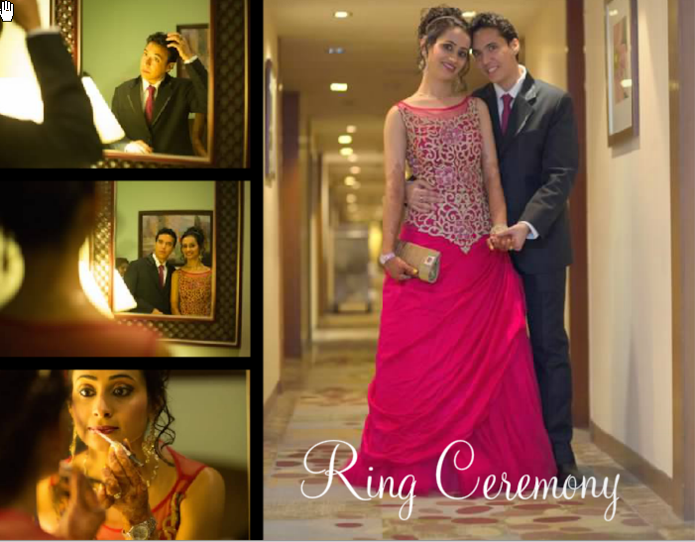 After Sangeet, we got a few hours to get ourselves dressed up for the Ring ceremony. This was the evening of my dreams :) On this evening, we exchanged our rings amidst the yay’s and aww’s of all our family and friends :) After the cake cutting ceremony, we had the BEST MAN and the MAID OF HONOR do the speech. Our party was a western themed party. This is referred to as the Cocktail Party because as the name suggests there is a free flow of alcohol at this ceremony. There was DJ, Drinks and everyone on the dance floor. Manoj and I had a dance performance on the song “Tum Mile” from the movie ‘Tum Mile’. This is the party that everybody was looking forward to and the dancing went on until the wee hours of the night. This ceremony is done for the bride on the morning of the wedding, at the wedding venue. But in our case we did not have that time in the morning so we did it right after ring ceremony at 12:30 am. ‘SathSuhaginyu’ (seven married women) first rub off their luck on her by applying oil on her hair and then join in to help the bride to grind some wheat in the ‘jandd’ a traditional rotating grinder. This symbolizes her initiation to household chores. A red thread is tied to one of her ankles and everybody applies oil on her head. There are some rituals done with the bride’s mother holding an earthern-pot on her head. There is another ceremony where the bride breaks a small earthenware diya with the same pair of jooti (or sandals) that she is going to wear for her pheras. The destruction of the eastern pot symbolizes end of her current life. She will be beginning her new life after she gets married to the groom. From this time until the wedding, she is not allowed to be alone and is accompanied by her sister or aunt wherever she goes. A little portion of kutti (wheat flour sindhi recipe) is made and fed to the bride and the remnants are fed to eligible girls and boys, since it is believed to increase their chances of quick matrimony. This is also called the Vanva ceremony. After taking shower the next day, the dress I was wearing for ‘vanva’ was given away in charity. This also symbolizes giving away the old for the new. Dikha Ceremony is also called the Saathsoond in Sindhi. During this ceremony, all the relatives put oil on the groom’s head and tear off his clothes. Apparently, this signifies casting away the old life and moving into the new. This is a fun ceremony and mostly the groom tries to wear 3 layers of clothes to protect himself that are mercilessly torn away by all his cousins and friends. The ‘bochhini’ (a white big stole like garment with a big pocket at one end) is draped on him. The groom’s mother stitches this beforehand and gets it embroider with seven large sequins. This embroidered part comes over his head. The priest then does a puja and places the ‘mukut’ on his head. 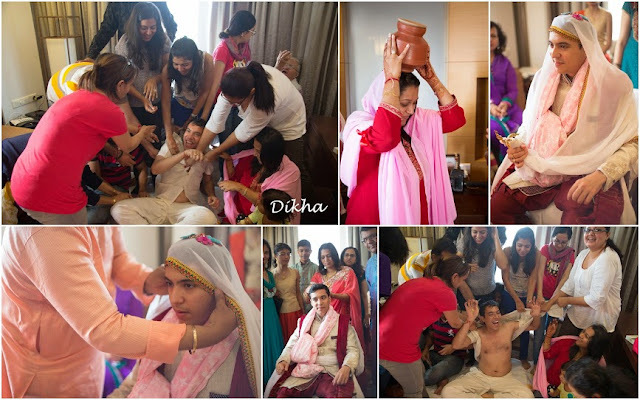 The groom’s mother plays an important role in this ceremony. The misri-phala (crystalized sugar and dry fruits) are dropped into the pocket of his bochhini, first by his sisters, followed by maternal grandparents’ side and then the others. 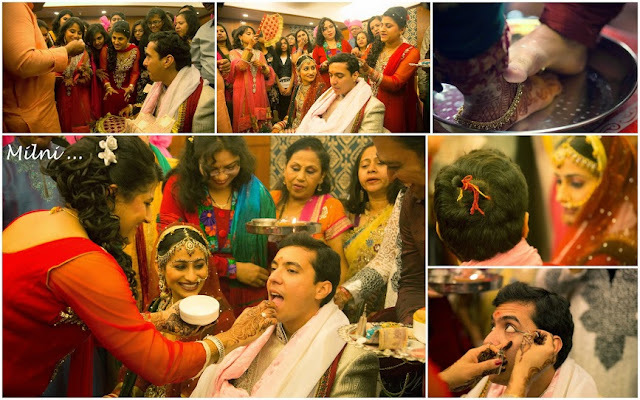 There are some rituals done with the groom’s bhabhi holding a pot on her head. There is another ceremony where the groom breaks a small earthen pot with the same pair of jooti (or shoes) that he is going to wear for the pheras. The destruction of the eastern diya symbolizes end of his current life. He will be beginning his new life after he gets married to the bride. From this time, the groom is considered as form of Lord Vishnu. Post this ritual which is between his two lives, he is not allowed to go alone anywhere and is accompanied by the aenar (his sister’s husband) carrying a knife in his hand all the time for the grooms protection. Pheras: The bride and the groom go around the sacred fire four times. The seven sacred vows are exchanged in the presence of the sacred fire. 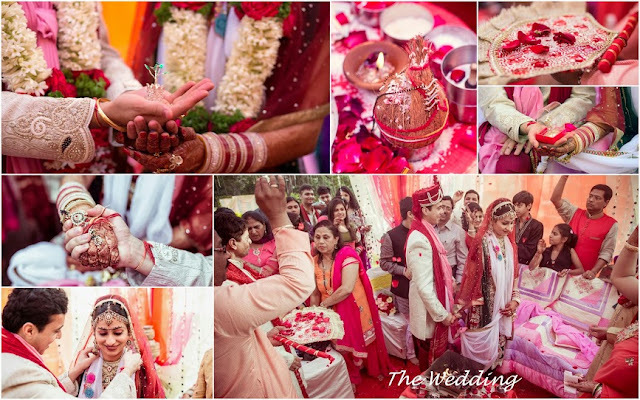 These vows with Agnideva are considered to be unbreakable! Each round signifies a purpose. With these pheras, the bride and the groom pray for a life of understanding, loyalty, unity and companionship not only for themselves but also for peace of the universe. 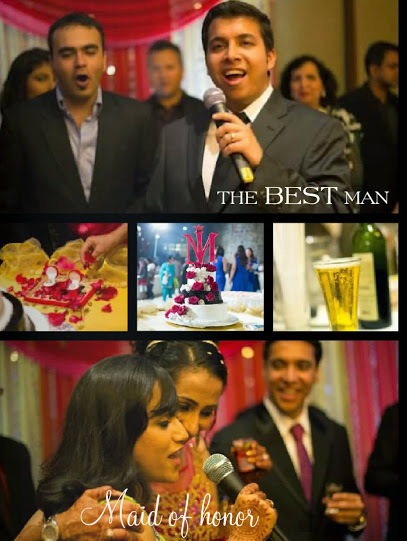 Kanyadaan: Kanyadaan literally means giving away the daughter to the groom. Placing their daughter’s hand in the groom’s, they hope that he will honor and protect her dignity. After this, they also do the Gau(cow) daan and the tulsidaan. Which is giving away the idol of a cow and tulsito the couple. The groom then fills the parting in bride’s hair with Sindhur and makes her wear the ‘Mangalsutra’. Jaymala : This ceremony is exchanging of garlands between the bride and the groom. The bride’s parents offer sweets to everyone and give gifts to the aenar and groom’s family members. The priest matches their horoscope and then announces the alphabet with which the bride’s new name should start with. I was given an opportunity to chose my name and after listening to a couple of recommendations from everyone who was googling around, I picked the name Dhriti for myself. And then I was announced to be DhritiHarpalani starting that moment and then everyone started cheering !!! Bidai is a ceremony in which the bride’s family bids her goodbye and see-off the newly married couple. Manoj had an idea to run away and marry, which we could not do, so we thought of running away and eloping after the reception. I was so happy after our reception that in the Bidai, I was left without any tears in my eyes. After the Bidai, we were so tired and finally decided to run away to our hotel room. Such beautiful pics! Jaya looks so gorgeous and they make a stunning couple! Funny how some rituals are so similar to ours...I used to think they would be different! 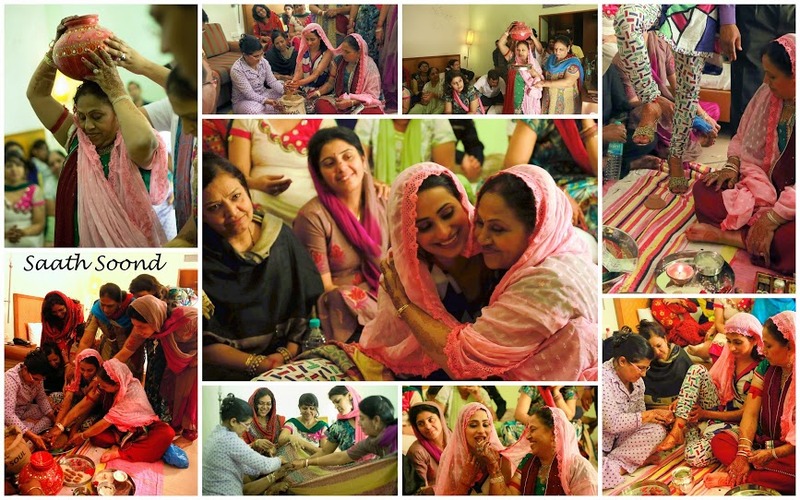 wow, so much that goes into a sindhi wedding. Never knew, in fact never attended one too. Jaya looks so gorgeous. 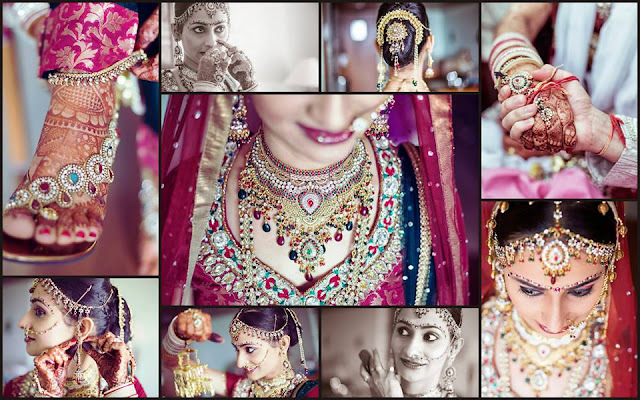 The bride looks brilliant <3 Love these pics, wish them luck for the rest of their lives!! Thank you very much everyone for your cute comments and special thanks to Aditi for giving me an opportunity to write a post for her blog! The post is exceptional. I've never attended a Sindhi Wedding so far. Adithi, thanks for bringing Jaya in.